Yup, that’s right. I’m on the move. Well, hopefully. At this point we’ve had our chain completed. We’ve accepted an offer on our flat, made an offer on the house we like and they’ve also now found somewhere they’d like to move to. So solicitors are all churning through paperwork. Thankfully, we’ve got an amazingly short chain so it bodes well for things being speedy, something we’d really love. The shorter the interruption the better. It does mean we’ve already packed up a chunk of our lives into boxes. Nothing too major yet but we wanted to get started. Anything we don’t think we’ll need or use is being put away in brown containers until we get to the other end. 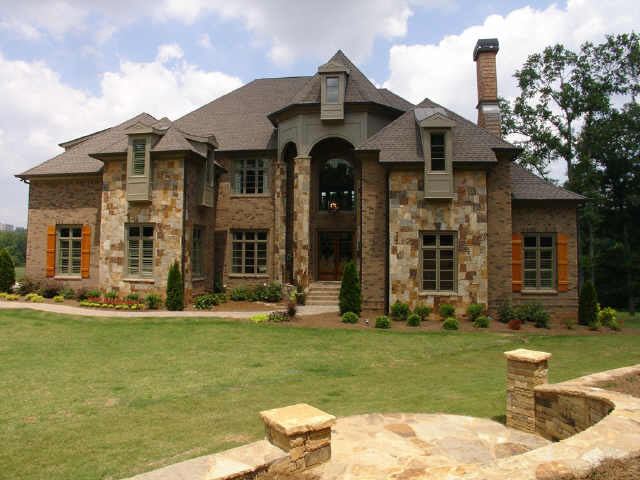 While I’m really looking forward to the new house (I absolutely love it, and no, it’s not the one pictured here. This is just one example of the quirky kind of thing I like, although out of my budget this time around) I’m not looking forward to the interruption this will bring to writing. But it will mean I’m in a cheaper area, have more space, and I’m significantly closer to a coffee shop to go write in. I will, of course, have to find one I like but I’ll be closer to several options so it’s a good start. I wonder what the cat will make of it all! I updated this blog on March 1st, with extra information regarding chain etc as on the time of writing things weren’t as far forward as they were on the date of publication. Everything should be correct as of now. This is the second film they made in the Narnia series and features the actor who made his first major film debut in Stardust a few years before. I loved the start of this film, back in the real world and the London Underground system. Susan has started taking an interest in boys, although only a little and a boy has taken an interest in her. It never gets any further than that, however, before she’s sucked along with her brothers and sister into Narnia again. In Narnia many hundreds, even thousands of years later they pop up in their own castle, only now it’s ruins on an island. Shortly after they meet Peter Dinklage in his role as a dward, otherwise known as DLF, if you’ve read the books. The acting by our already adored family of siblings has improved another step, although they were pretty good before, now they are even better, age lending them some more skills. 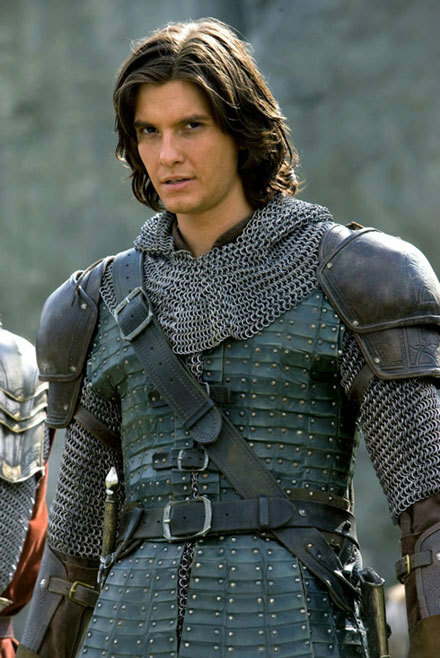 Prince Caspian, played by Ben Barnes does a reasonable job in this role. He’s a little samey in comparison to earlier roles but it does step somewhat from his very understated way of acting. He’s relaxed and not overbearing and this, at least, makes him seem natural in whatever role he plays. 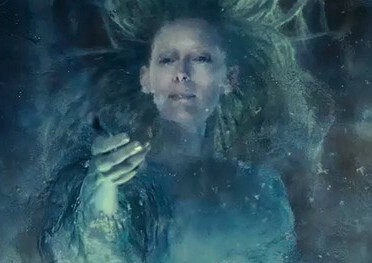 The storyline is made nicely epic in the film, matching the style of the first well. They make a good pair. 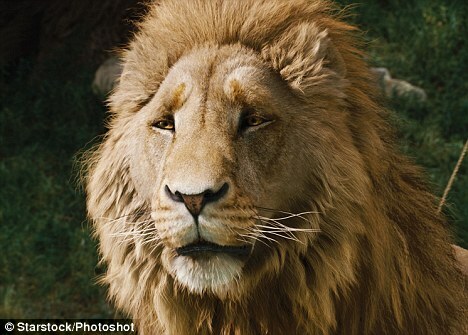 There’s also plenty more Aslan wisdom and he helps out at the end, although not as much as he does in the first film. They have a few trust issues, but they get there in the end. This one is also a little darker and feels like evil gets the upper hand more, despite the white witch being banished but good still triumphs as it should in a good vs evil movie. At the very end we get back into the real world and unlike the first we get to see some more of what’s happening there and it resolves very well, if I do say so myself! Anya lazed in bed for some time after Sherdan had left for work. His final few words echoed around her head. He still thought she was everything he needed and that he could provide everything required to heal her and make her happy. She knew she could only find that in God. He would be her healing and hope, not Sherdan. As she got out of bed her thoughts turned to the day before. Her task here was now done and for both her sake and Sherdan’s she would need to leave. She had to decide when and how; if she was even strong enough to let go of her relationship with him. The thoughts that went through her head brought tears to her eyes and an ache to her chest. She would need God to help her if she was to have the strength she needed. She thought she knew how to rely on God in this way, but the more time she spent in Utopia the more she realised she still had a lot to learn. Anya had an early lunch while she pondered over the best way to leave. If she stayed another night she didn’t think she would have the emotional strength and she knew there would be no turning back at all if she went to the party with him. Her dress caught her gaze. It had hung on the curtain rail since he had given it to her, so it would not get creased. She had to turn her back on it while she thought. With feet like lead she got up and packed clothes into a small wheeled case she had found in Sherdan’s room. As she folded the clothes and placed them inside she picked up speed and confidence. As soon as Anya was done, she sat down to write a goodbye letter to Sherdan. She didn’t doubt that this would be the hardest part, so she had left it until last. While stroking Antonio, she thought for a long time about what she wanted to say. She wanted him to know that her only reason for leaving was her belief in it being better in the long run. Doing so was going to hurt her as much as him. The right words wouldn’t be easy to find. Anya picked up the pen and paused again. Moisture spilled from her eyes and down her cheeks, but she ignored them and slowly made her message appear on the paper. She didn’t want to still be there when Sherdan got back. I am truly sorry for the hurt this letter is going to cause you, especially considering you will know that I have left when you find this. Please know that I do love you and I will leave a large part of me behind when I go. This place feels like home to me now as much as my flat in Bath ever did. Not only is my task here now complete but I know to find healing and wholeness I must return to my church, where God can minister to my needs and rejuvenate me for my next task. I will pray everyday that it will somehow involve you and your country. I will also pray for you. I know what I am doing will break your heart. I wish it wouldn’t but I will pray God heals you at the same time as me. 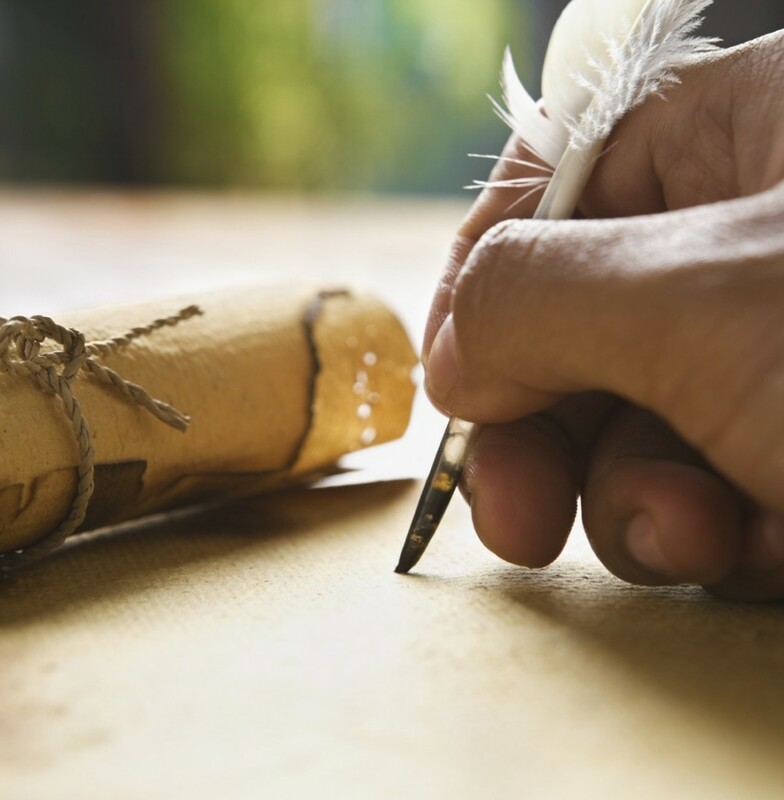 By the time she had finished writing her hands shook from holding back her emotion and her heart ached in a physical way she had never felt before. It had never occurred to her that having a broken heart hurt in a very real sense. Before she could change her mind she folded the paper, put it in an envelope and sealed it. She breathed out, not realising she had been holding her breath until that moment. She thought she had done the hardest part but she still had to put the letter somewhere he would find it. As she took it over to Sherdan’s room she shivered and almost turned back. It took her over ten minutes to move from his bedroom doorway and place the message on his pillow. Even then, she looked back several times on the way out. Once Anya was back in her own room her pace picked up. The adrenaline of sneaking out of his house and country helped her with the task. She grabbed her suitcase and walked as calmly downstairs as she could. Her plan was to leave via the car tunnel in the garage. She had seen Nathan use it and thought she could remember what to do, although she would have to walk back rather than drive. When she got to the garage door Julie stood waiting for her. “You can’t leave Anya. You can’t.” She blocked the door with her body and when Anya moved she went to grab hold of her. “I have to. Please don’t make this harder than it is. I have to go.” She felt tears welling up in her eyes again. “It is very difficult to explain but one day hopefully I will be able to come back. I do have to go now though.” Julie frowned and still did not move. Anya waited, not knowing what else to say. Julie bear-hugged her and then got out of her way. She gave Julie’s hand a squeeze and the two women smiled at each other. She left before any more could happen to tempt her to stay. The button to get down into the secret tunnel was easy to find and Anya soon walked along the dimly lit passage. Her little suitcase made a gentle rumbling noise as she dragged it along behind her. At first, the dark put her on edge and distracted her from her feelings as she trudged the long mile to the house at the other end but it didn’t last. A journey that normally only took a few minutes felt like a lifetime, with each step heaping more pain onto her. When she reached the other end she paused. She hadn’t thought about any more of her journey than getting back onto British soil. Anya was trapped in a locked garage. Normal doors garage doors opened from the inside but for some reason this one didn’t. She rattled the main door, furious, before scanning the whole room for another way out. There was no other door. Other than going back the way she had come there was only one thing left she could do. She concentrated on the familiar feeling that turned on her ability. Feeling free, she ran out into the late afternoon leaving all the clothes she had brought with her, and worn, behind. With roughly an hour to get back before her ability faded, she jogged down the street, hoping there were clothes still in her flat. There did not seem to be any easy parts to leaving Sherdan. As she ran down the street towards a bus stop she also realised she had no money on her. Even if she had got out of the garage she would have had to abandon her suitcase anyway. With no money she would have had to use her ability to get transport home. Anya frowned as she stood alone at the bus shelter. There wouldn’t be any way to get the bus to stop and pick her up without someone else with her. She had no choice but to start jogging along the bus route to try and get to the train station before she reappeared. All the difficulties getting home almost made her turn around and walk back to Sherdan instead, but as the dark of evening began to fall she knew she could not. There was no going back now. Her stomach churned as she spent the next ten minutes slowly running through the estate. She did not know where she was and had to try and follow the bus stops on the route to know she was even going in the right direction. Several times she had to retrace her steps to find where the bus route went. There wasn’t any way she would get home now without needing to spend some time, somewhere, visible. Eventually she found someone waiting at a bus stop so she joined them, trying really hard not to breath too loudly and be heard; something not that easy after jogging for so long. When the bus came along, she hesitated before getting on. She shivered at the thought of going visible in the middle of the packed bus. There was no better option, however, so she climbed on. She stood near the front, holding on to a nearby rail so she wasn’t likely to get bumped into. Trying to use her power to its full extent so people could pass through her would make her even more likely to stretch herself to her limit and reappear. Thankfully the journey was short. She had been much closer to the train station than she had realised. As soon as the bus stopped she ran off and into the building. Her ride had been so tense that her muscles cramped up in response but she carried on running anyway. She sighed with relief once she was locked in a toilet cubicle at the station. This was the hardest journey of her life. She never thought anything could have been harder than the train journey to Bristol so many weeks earlier but she had been so wrong. So much had changed in such a small amount of time. Being there had its downsides too. In the middle of the winter in a train station was not the warmest of places and at least there had been a heater on the bus. She soon stood there shivering but she did not dare leave yet. Tears fell from her eyes as everything she was doing hit her in a fresh wave. By now the letter would probably have been found. She hoped Sherdan would come to forgive her, but she didn’t know if she would ever forgive herself. She stifled her tears when she heard the scrape of the toilet door. There weren’t many cubicles and she didn’t want anyone to notice she had been in there for so long. She would have to move and hope she could get home now. Thankfully, trains between Bristol and Bath were frequent and she soon hopped onto one and tried to stand out of the way. She managed to find a heater in one of the train toilets so she tucked herself away in there for the fifteen minute journey back to her own city. There were a few strange looks when she came out of the loo and the passengers only saw an empty toilet cubicle that had said ‘engaged’ the entire time. She hoped they would assume it was some kind of malfunction, but it was too late to do anything about it if they did suspect anything. Her flat was only a few minutes walk from the train station and she prayed her key would be right where she had left it. Although she could just walk through the door she didn’t then want to be locked in the flat with no way out. The flat itself would have been watched over by one of her friends. She had often wondered what they thought when most of her clothes had disappeared. She walked up to the house and, behind the olive tree pot to the left of the door, she pulled a loose brick out of the wall. Behind it was her front door key, exactly where she had left it. Anya didn’t feel at peace until she had been into every room and checked everything else was still where it had always been. The majority of her clothes were gone, as she had expected, but she found some old worn clothes to wear for a little while until she could buy more. She sank onto the edge of her bed, realising her journey had finished. She was home and safe. Her Bible was tucked under her pillow as the new one had been at Sherdan’s house. She sighed as she stroked its leather cover. When she had set out she had known the price of her task might be high. Had she known exactly what would have happened she was not sure she would have had the strength to see it all through. As usual, God knew best. Before she forgot, she flicked open her laptop and pulled up her email account. There were hundreds of unread messages but she ignored them all. They could all wait for another day. She sent a brief, but to-the-point, email to her church leadership team. I’m back. There’s lots to tell. Give me a day or so. Anya. She shut the lid on the laptop again and put it out of the way. There really was a lot to tell and, as she thought over it all, she sank into the corner of her bedroom. Unashamed tears poured from her eyes and with them the vast, painful emotions she had been suppressing for the last six weeks. God had a lot of healing to do and that journey was still ahead of her. I always get far more ideas than I will ever have time to write. In the last year alone I’ve had the ideas for an epic fantasy series (the Winter series I’ve already begun), the plots for the second and third book in the Sherdan series, two more sci-fi ideas, a modern romance/mystery idea, an idea for how I can work a true story in the Mountifield history into a novel, and three fantasy ideas on top of the series. That’s twelve books worth of ideas. 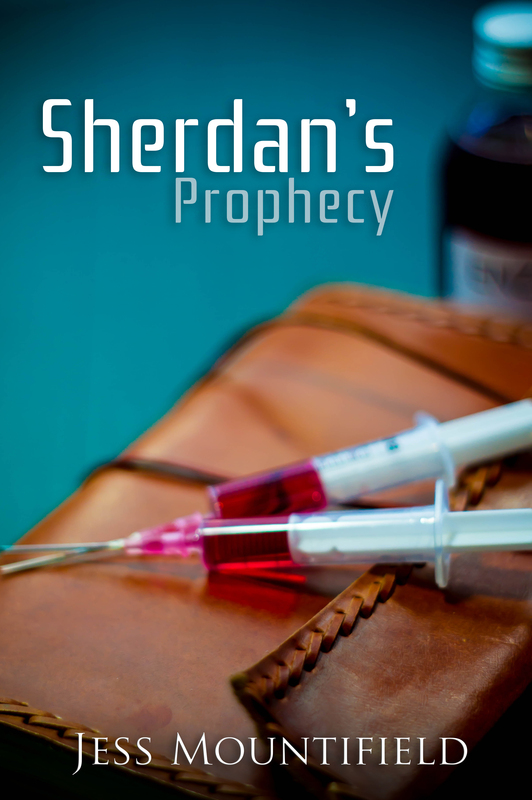 In the same time (a year), I’ve finished writing sherdan’s Prophecy, written two fantasy shorts, begun the Winter series, the trafficking novel idea I already had and the sequel to Sherdan’s Prophecy, Sherdan’s Legacy. So I’ve added eleven ideas and only actually fully crossed off two, although I’ve got another three in the stage of ‘in progress’. So in total, sitting in my notebook I have: Seven fantasy books, five historical, three modern romances, and four sci-fi waiting for me to consider them and three started. For a total of at least another twenty-two stories! That’s about ten years worth of writing at my current rate, if I don’t get any more ideas in that time! The biggest problem I have when I reach the end of a book is figuring out which one of these many ideas I should start next. Admittedly some are better than others. Some of the historical ones will probably never get written, but the charge still falls to me to pick the right one. My husband says I get so many ideas because I get the privilege of choosing the ones to actually create. There are days when this can feel like more of a burden than a privilege, however. I also know I’m not the only one. Other writers share this problem. So I thought I’d share some things I do and use to figure out what to write next. Which one is easiest to write? Some ideas sound amazing until you actually think about the logistics of the plot or the motivations of the character or where you wish to begin and suddenly the idea’s not quite well formed enough to actually begin yet, and it might never be. I prefer to leave these ideas in the melting pot. Sometimes the best bits pop up again later in other ideas anyway. So I tend to look through and think over which ones I could start without too much effort. That eliminates some from the next pile. Which ones are going to sell best? Let’s face it, some of our ideas are just right to jump on a bandwagon and this can be a good thing sometimes. I will admit. It’s rare for me to pick a book because of this factor, but it can play a part. I prioritise the sequels of a series already on the go over other ideas simply because it keeps the fans happy and does tend to sell better. It’s important to keep fans happy, especially the ones from early on in a career, who gobbel up the books and eagerly ask for more. Which ones are the most original? 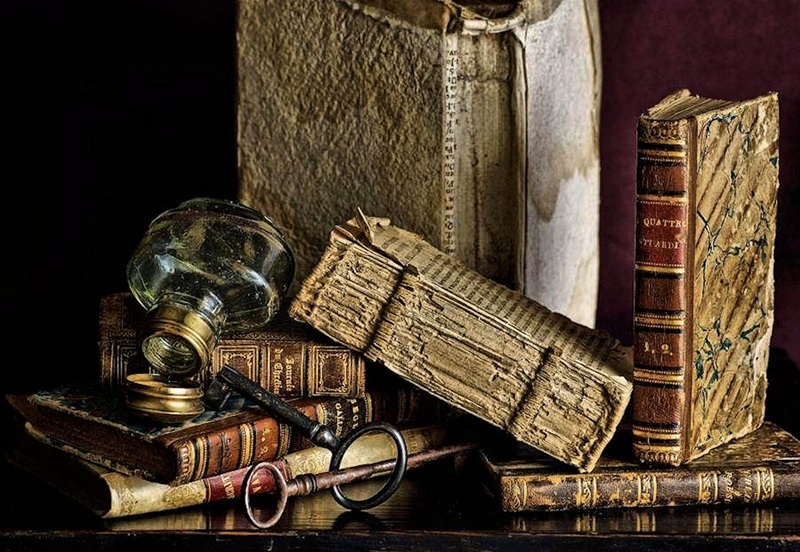 Some ideas are pretty much a rehash of old ideas in a new setting and while these can be great easy books to write to bulk up the backlist they aren’t always rewarding and can feel a little like a cop out. Something that feels original and fresh can be very rewarding to both author and readers alike. While occasionally a risk they can suddenly take a career in a brand new unthought of direction. Which ones are the most exciting? It can take a long time to write a novel and writing the ones that give us the maximum excitement can help get through the tougher moments in the process. 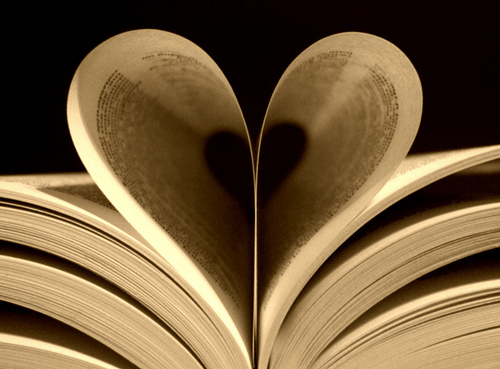 If our heart is most passionate about a particular few ideas then they are likeliest to be well written and to be loved through the full journey from plotting to publishing. Which ones feel right? After I’ve gone through the above set of questions I often find I still have two or three on my list of books to possibly write. At that point I let them circulate in my brain for a few days and try to ‘feel out’ which one would be right to write next. Usually I’m led to one over the rest. But since I’m in a sharing mood. 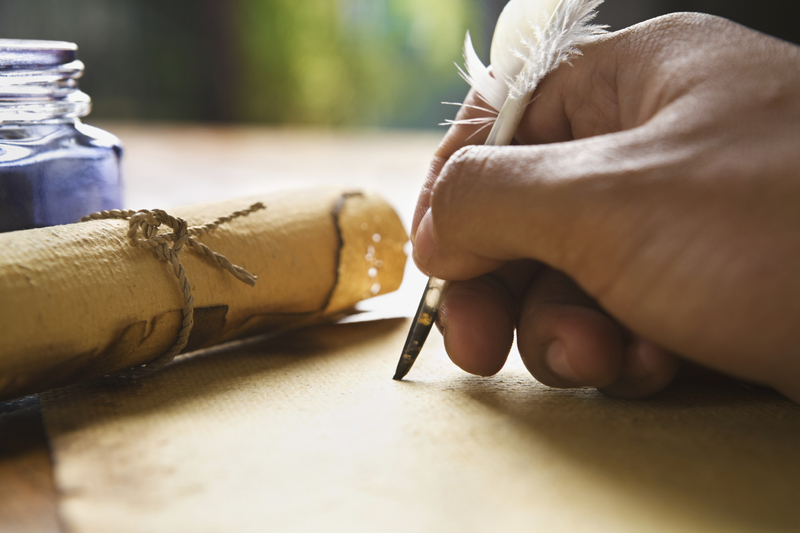 Here’s a few ideas that might get written in the next little while or might not. Sci-Fi – A female is woken from a coma to find her business partner has used all her companies and wealth to get their business holdings and houses into the sky, as that’s what everyone left on earth is trying to do. Dwellings are built that are added to and eventually turned into spaceships. But her business partner stuffed things up and not long after getting into space he gets captured by a space pirate who turns him into a cat and keeps him as a pet. She wakes up to find her companies in a mess and has to sort them out, get on a spaceship’s crew and go rescue him. She quickly works her way up to captain of a trading vessel and uses it to go fetch him, making a deal with the pirate for him. Modern Romance/Mystery – A widow is applying for a new job and is hired by a wealthy bureaucrat who is trying to gain his inheritance from his rich father. He needs to move the historical and grade listed family home. She is hired as an office junior to help get his companies and his house through the move but the current office employees take a dislike to her and blame her for all the mistakes they make. She manages to find all sorts out about the house and even finds forgotten secret passages. She ends up dating him and finds him a fortune and they take over the world, sorta! 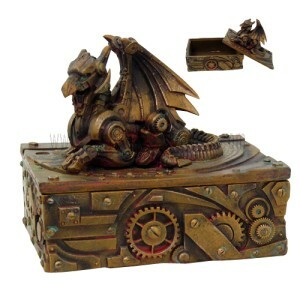 Fantasy – Choose your own adventure Dragon Steampunk. Young man works as a servant in a large household. He feeds and looks after the two adolescent dragons in the cellar. 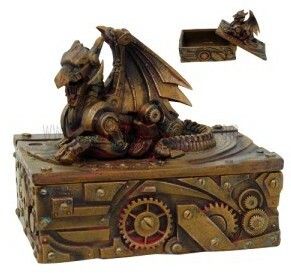 Dragons power the steam powered technology of an otherwise Victorian era civilisation. A bit like how to train your own dragon but steampunk. And yes I do really want the box on the right. So pretty! Well there’s three of the nineteen ideas still waiting for me to decide to write them. Maybe one day I’ll write them. Of course I fully believe in keeping the fans happy so if anyone preferes one of them over the others, feel free to say and let me know what you’d like me to write. A female is woken from a coma to find her business partner has used all her companies to get their patch of earth into the sky as that’s what everyone left on earth is trying to do. Dwellings are built that are added to and eventually turned into spaceships but her business partner stuffed things up and not long after getting into space he gets captured by a space pirate who turns him into a cat and keeps him as a pet. She wakes up to find her companies in a mess and has to sort them out, get on a crew and go rescue him. She quickly works her way up to captain of a trading vessel and uses it to go fetch him, making a deal with the pirate for him. She then quite literally tries to take over everything and help the people back on earth. I’ve recently aquired the third film in this set so I thought I’d run through all of them so far over the next few weeks (new releases at cinema may be interspersed, depending on how many I get to go see). This is the first film Hollywood made of the seven book series and the most iconic. It’s the one most people love and remember from the old tv series. Yes, this is technically a Christian film but it’s also a good story. Every kid wants to suddenly become the hero in a great adventure, but this goes one step better than that. This has a whole set of siblings become heroes and even kings and queens together. As a kid it’s pure magic. On top of that there’s some great messages. Often what appears amazing (the White Queen’s offer) isn’t really and sometimes we have to be brave, even when we don’t want to be. I also really loved the bit where Susan and Lucy walk with Aslan, when he’s on the way to see the White Queen. There’s something very humble and sweet about Aslan wanting the company then. It’s a beautiful moment in the film. As is the bit where the Professor tells Susan and Peter off for not believing Lucy about Narnia existing. I really feel the makers did a really good job of capturing all the little details in the books too. 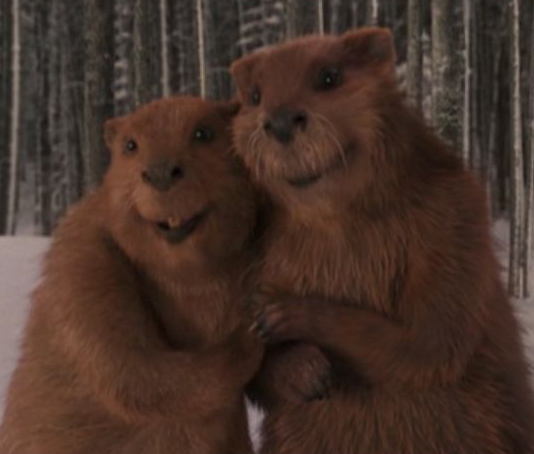 The varied creatures were amazing and the beavers were adorable. All those little things help to bring a film alive and they really did with this one. This is one of those films that is great to re-watch as well. I think I may even do a marathon of all three that have been made so far. Lifting up his hand, Sherdan stroked the hair off Anya’s face. She’d not been asleep long but he was relieved she was. He pondered over the day’s events as he gazed at her peaceful face. She’d saved his life, using her ability. He couldn’t help but wonder if it did have something to do with God. It didn’t completely match up with Hitchin’s vision but everything she had said now appeared true. She had been told to stay and, in staying, she had saved him. He didn’t know about the rest of her beliefs but he definitely believed in some kind of higher power. There was no way he could deny it any longer. He fought to stay awake and enjoy the nice gentleness of being right beside the woman he loved. She filled his heart and made him feel alive in a way he had never felt before. Life was more complete with her by his side. “Sir, are you awake?” a radio called from the floor. It still lay where Anya had dropped it earlier. She stirred as he got up off the bed and picked the interrupting item up. “Yes, Nathan, what is wrong?” he replied as he tiptoed out of the room. Sherdan went back to Anya and resumed his position right next to her, feeling wide awake again. She had protected him and now he would make sure he was there to protect her. He wished he had gone to her the second he had suspected any kind of trouble and whisked her off to safety. It had been his unwillingness to move that had stopped him going to her as soon as the first sign of danger had appeared and it had put her in danger. He hadn’t been frightened for himself. Hitchin’s prophecy assured him of his own safety, but the thought of losing Anya now, when she had just given him such a reason to hope, terrified him. He kissed her forehead and closed his eyes to sleep. Both of his arms were wrapped around her, keeping her close. Sleep passed over him, relieving his mind from all his thoughts and worries. They stayed like that, entwined, the rest of the night, undisturbed and completely at peace. They didn’t notice when Sherdan’s alarm went off at its usual time across the hallway and neither woke when the radio called for Sherdan just after nine. He opened his eyes naturally a little over an hour later. His attention fixed straight on Anya. She still slept right where she had been when he had drifted off. He smiled and kissed her on every part of her face, calling her name in between. “We’ve overslept darling. I need to go to work,” he whispered. She kissed him full on his lips with more passion than he had expected. “I will try to be.” He rubbed noses with her before kissing her one last time and getting up. He really didn’t want to go but he knew he had to. He would be able to come back to her at least and, the following day, she would be on his arm to introduce to all the citizens. The smile on his face grew as he thought of how he could present their future queen to them. “What has made you grin so?” Anya asked. “I know what you Christian women are like. Not much time between kissing and wedding,” he teased her and laughed. “We’ll see.” He leant over the bed when she showed no signs of getting up while he remained. “I love you. I want to give you everything in my power to make you happy.” She reached up to stroke the side of his face but she didn’t look happy to him. He kissed her again and left the room. She may have let him into her heart but there was further to go and there were many wounds along the way. Wounds he had inflicted. He hoped she would allow him the time to heal them. Sherdan walked into the guard room to the instant silence of his two security guards. “I’m going to walk to the compound this morning,” Sherdan said and walked out, too involved in his thoughts of Anya to want to know why they had reacted to him appearing. The day was crisp and fresh, and hinted at the possibility of more snow. He hardly noticed, distracted by the image of Anya’s haunted face and the deep sorrow in his heart. He longed to undo what he had done and the possibility that he might not be able to stabbed at his insides again. It baffled him that she could even say she loved him, but he felt grateful for at least that small flicker of hope. As he walked, he resolved on finding her the best psychologist in the world to help her through everything. She would be happy again if he could manage it and he would use every resource that he could draw on. Sherdan marched into the compound thinking of the best way to get Anya well again and noticed nothing else until he almost bumped into Graham in Sherdan’s own easy room. His commander had never come into the room uninvited before. “Sir, there’s bad news,” Graham fidgeted and looked away. “Who? Are they all right?” Sherdan replied much faster than normal. “Hitchin’s dead, sir.” Sherdan sank into his chair. “Leave me,” he replied, barely above a whisper. Hitchin was the only person he had called friend. How had the British army even known to go after him? For just a few minutes Sherdan had let his guard down and it had cost him Hitchin and almost Anya. He would need her at his side now, even more than he had thought before. Tears fell from Sherdan’s eyes as he sat and thought of his friend and co-worker. They had made so many memories and plans for the future together. Some of these memories popped into his head now. 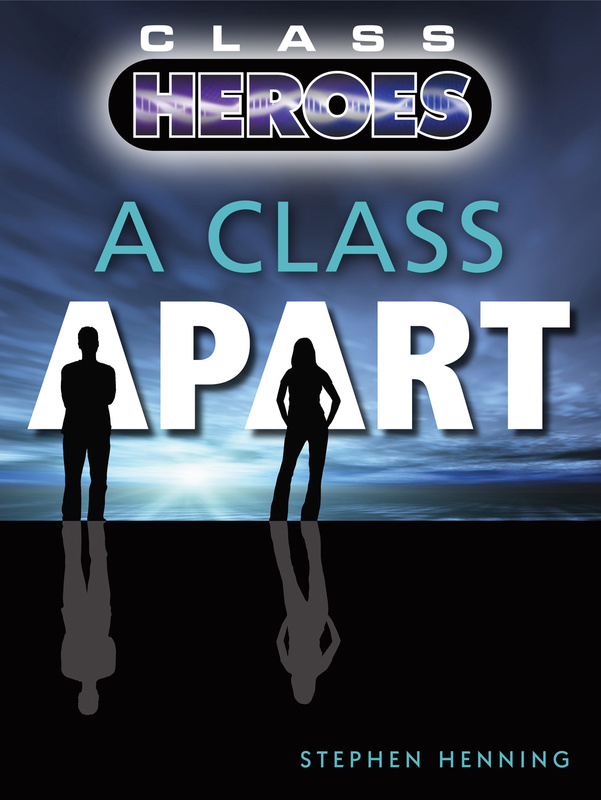 He thought of the first day they had met when they were both eleven and at a new school. They had all the same classes and continued to study together all the way through to PHD level many years later. Sherdan only allowed himself half an hour to stay in this emotional state. He had work to do and the four commandos needed questioning. He soon strode into the command room with the same facial expression he had worn on many occasions. If they had not known Hitchin was dead, they would not have figured out Sherdan had just lost his best friend from both his demeanour and how he went about his work. “Where are last night’s infiltrators being held?” he demanded to know. “They’re here in the compound. All four of them,” Graham replied as the rest of the room looked busy. The commander nodded and passed on the orders to the relevant people. “Fine. Make sure no one else finds out. Have the guards who know keep it secret and let me meet with the woman. I already have an idea of who she will be. “Tell them he is ill if they ask, for now at least.” The commander nodded as Sherdan left the room again. He sat in his private quarters, thinking over what to say to this woman. He wanted the British government to think they had failed in their tasks. He put his head in his hands as his thoughts turned to what almost happened. The country he had created was so delicate still. He would need to protect it from the shock waves of Hitchin’s murder and was relieved that Anya had been there for him. His personal angel. His thoughts settled on the warmth of her again. He could hardly help it after the events of the last twenty four hours. Her affections, and the good memories of their time together, was a salve to the ache deep within him. A knock on the door made him jump and look back up. “Come in,” he called as soon as he had composed both his face and manner again. A tall brunette walked into the room. There were a few trace marks of mascara and puffiness around her eyes but fresh make up had been applied on top. She had her hands hidden in the pockets of a white lab-coat which covered her standard clothes. Sherdan had to stop the corners of his lips twitching up as he looked at her. She was every bit what he had expected, knowing Hitchin. She nodded in response as he reached for a nearby tissue box and put it much closer to her. She finally reached for a tissue as the tears that had threatened to appear flowed over and tracked down her cheeks. Sherdan paused, less out of concern for her and more because of the lump in his own throat. Sherdan smiled as her eyes brightened a little. He had lied, but it would do her no harm to think Hitchin cared for her more than he did. She nodded and pursed her lips together. Sherdan hesitated before going on. He hoped Hitchin would forgive him for what he was doing. Her eyes went wide. She opened her mouth to respond but no words came out, leaving her with a fixed frown. “No thank you… Sherdan. I’ll get back to my work. Someone needs to continue Hitchin’s research and I think I am the most qualified to do so, other than yourself of course.” She got up and shook hands with him, before leaving him alone with his thoughts again. Sherdan sat back and breathed out. The conversation with Miss Miller had only added to the weight of his emotions. She had taken things well but he wished it had been different. The rest of the day was a blur for him as he rushed through all his tasks. He hardly looked forward to the ball the following evening any more. Although, knowing Anya would be at his side brought him some comfort. As a way of getting back at the British government, he phoned them again that afternoon. He was given another excuse for not getting to speak with anyone of any importance, but he didn’t care. The main point was letting them know that he was still alive. Sherdan also did a short radio interview to ensure the rest of the world had him fresh in their memories as well. Work helped him to forget the latest tragedy. Not long before he was due to return to Anya, he received a return phone call from the Prime Minister. “Dr Harper, I believe you called to speak to me?” the minister said. “It doesn’t mean we will reach an agreement,” the Prime Minister pointed out. “”No, but I would like the opportunity,” Sherdan did the best he could to sound sincere. “Understood.” The phone clicked in Sherdan’s ear. He smiled, very pleased with how the conversation had gone. With the UK capitulating, and the resulting ceasefire, the country had achieved its first goal. They were finally established as a country. Just to make sure, Sherdan stayed in the compound until the news came in that the British were backing down. Shortly before five, Graham pulled a feed from the twenty-four hour news channel up onto the screens at the end of the room. A podium had been placed outside in Downing Street and many reporters were waiting for the announcement everyone expected. Thankfully, they didn’t have to wait long before the front door of number ten opened and the PM came out. He put a sheet of paper on the podium and looked out at the crows before him. Sherdan laughed as the Minister went back into his house. He had made it sound as if Sherdan had come running to him but it didn’t matter. He would look like the foolish one soon enough. Sherdan would let him save face where he could. In response, he did a country wide announcement, informing the Utopians that all the attacks were now over. He smiled as he thought of how happy the party would be. They had achieved their goal. He could hardly wait to get back to Anya and tell her all the good news, although he thought she was likely to have watched the news channel. Unfortunately, there were still several loose ends he had to tie up before he could leave. Graham gave him a report from the interrogation team as Sherdan was about to exit the command room again. So far they had found out very little. The soldiers had been ordered to avoid getting caught at all costs and were all definitely sent by the British government. “Step up to the next level,” he ordered and left the room. He was about to go through the mirror and get back to his girl when he heard a familiar tap on the door. Miss Miller came in without waiting. She had a bundle of papers as well as the leather bound journal he had seen Hitchin fetch to show him his visions of Anya. “Dr Harper, I mean Sherdan. I found these. They both seem to be Hitchin’s diary. I’m not sure why he kept two but there is a lot in them about you, our country and a woman called Anya,” she said. Her gaze dropped down as she mentioned the last part. He smiled at the misunderstood rivalry. “I have no idea why Hitchin would keep two separate diaries either but Anya is… Well, I am hoping she will be my wife shortly. She isn’t a Utopian citizen yet. Hitchin was the only person I had told of her.” Miss Miller sighed and smiled. “That would explain a few things. I didn’t read that much. As soon as I realised it was his diary I stopped. Here.” She handed him everything she had brought with her. They shook hands again and she hurried off. He felt tempted to sit and read the documents before going home, but tucked them under his arm and opened his mirror entrance instead. The emotions of the day had worn him down and he wanted to be back in the company of his sweetheart. He went through the underground tunnel as fast as he could manage. The recent events would be easier to process with a glass of brandy and a pretty face to look at. Sherdan walked into his study expecting to see Anya, but she wasn’t there. Antonio meowed at him indignantly from the sofa as he checked in the sitting room. “Anya!” he yelled as he started running up the stairs. He heard no reply. Panic rose in him as he continued the ascent to the top floor. He hardly knocked on her door as he walked into her room, calling for her again. She wasn’t there. He checked every room of the house before seeing Anne. “I’ve not seen her since lunch,” Anne told him. She helped him check every room again. As he walked into his own room for a second time he noticed the envelope on his pillow. He snatched it up. His name was written on the outside in Anya’s handwriting. He didn’t need to read the letter to know what it meant and neither did Anne, who left the room, taking the cat and shutting the door behind her. He sat down on the edge of the bed, unable to do anything but stare at the paper in his hands. Eventually his fingers managed to pull the flap of the envelope open and retrieve the letter from inside. His breath caught as he saw the back of the piece of paper and the last few words she had written on it. Within moments he was sobbing so hard he couldn’t even see, let alone read. He put the paper down. He’d not cried like this since he had been a small child, but no matter how hard he tried, he couldn’t stop the tears flowing. He had lost everything. This ebook was gifted to me by the author Matthew McFarland in return for a review. There are several reflective and thought provoking short stories in this collection and I have to admit it threw me at first. When I think of good short stories I think of action packed scenes or spine tingling moments. I rarely think of the slow moving ones that make you think. Once I got used to the style, however I found them very enjoyable, all except one, which seemed to be a little out of place in this collection. There was nothing wrong with the story of this particular short but The Seventeenth Door was a good bit more sinister and dark, when the majority of the rest were reflective. Of the reflective ones I enjoyed all of them fairly equally. They made me think a little too much to read them all in one go but that’s no bad thing. 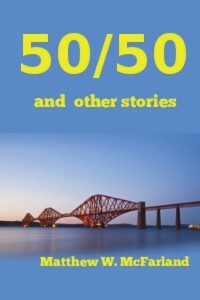 The stories are all well told and I would recommend these for anyone looking for something to fit into short gaps while waiting or in a queue somewhere. just be warned, for ‘The Seventeenth Door’ you’ll want to be in the right frame of mind. My usual distractions from writing usually include games, deep philosophical thoughts and conversations with other people on the internet (usually facebook). This one is a little out of the ordinary. 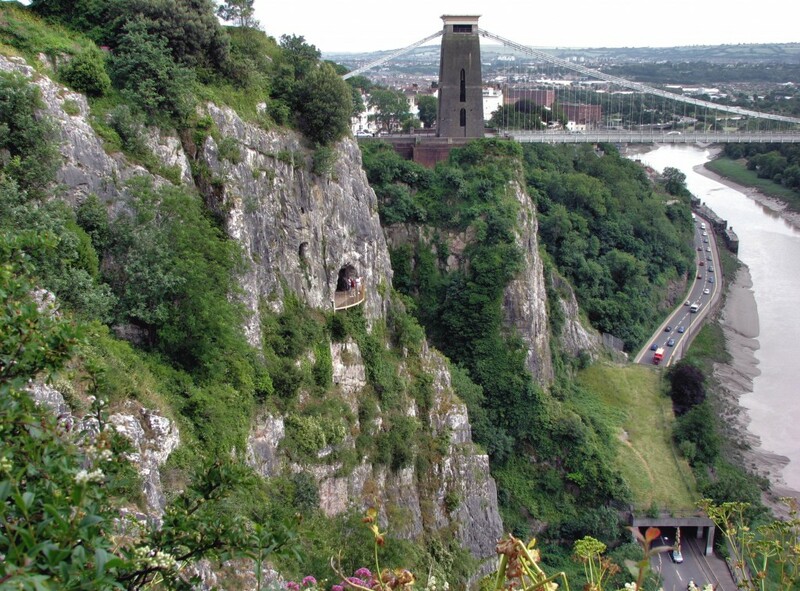 Saturday the 9th of february I’m abseiling about 200 feet down Avon gorge in Bristol for the Trauma Recovery Centre in Bath. I’ve mentioned these guys before as half of the rights to Innocent Hearts was given to them as well as 10% of all my fantasy works going forward. If you want to know more about them, and all the wonderful things they do, their website is here. I’d really love it for those of you who have some spare cash to sponsor me here and help me aid them in continuing their work. I’m really rather nervous about doing this and if every one of my regular blog readers each gave only £2 I’d hit my target with ease. It really is an amazing cause! I finally got the chance to go see this film at the cinema and went with two of my girl friends on a girl date. 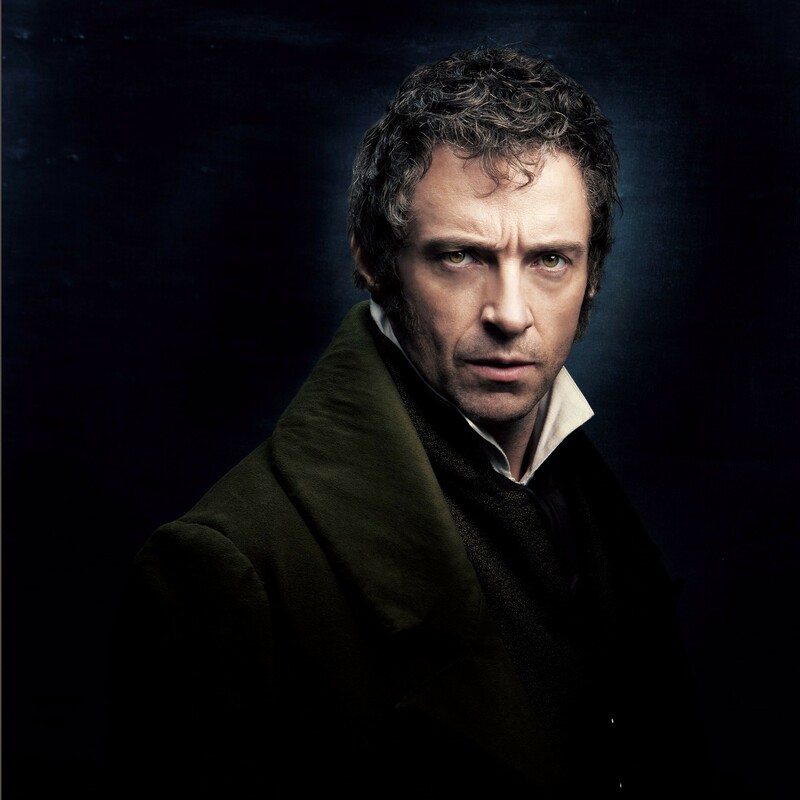 The film started with a very intense scene where Hugh Jackman’s character was a slave under the watchful scrutiny of Russel Crowe’s character. The animosity between these two could be felt right away and these two really knew how to stare each other down. Right before the film started there was a lot of noise and talking going on in the cinema screen I found myself in and I have to admit I was a little concerned that we had a few of those sorts of people who like to talk their way through movies and generally fidget and be annoying, but less than two minutes in the entire cinema was silent and totally enraptured by the performance. I’ve never seen the show in theatre and I know quite a few people have said it’s not as good but I’d like to say that although it may not be as good that doesn’t mean this film is bad. It just means that the excellence this film delivered is even more excellent in theatre. The casting was pure perfection. 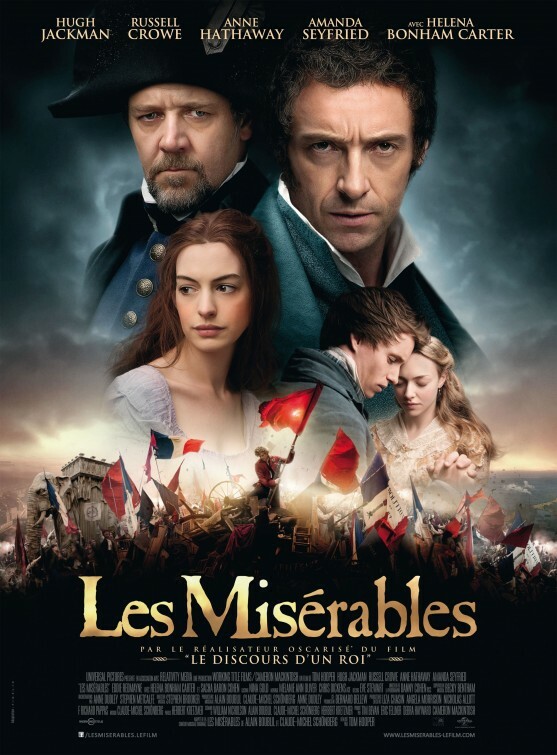 Hugh Jackman’s singing was emotional and so believable and closely followed by Hathaway’s rendition of I dreamed a dream. And I really don’t understand the people who said Russell Crowe mucked it up. He did a fine job in a role that I think suited him really well. 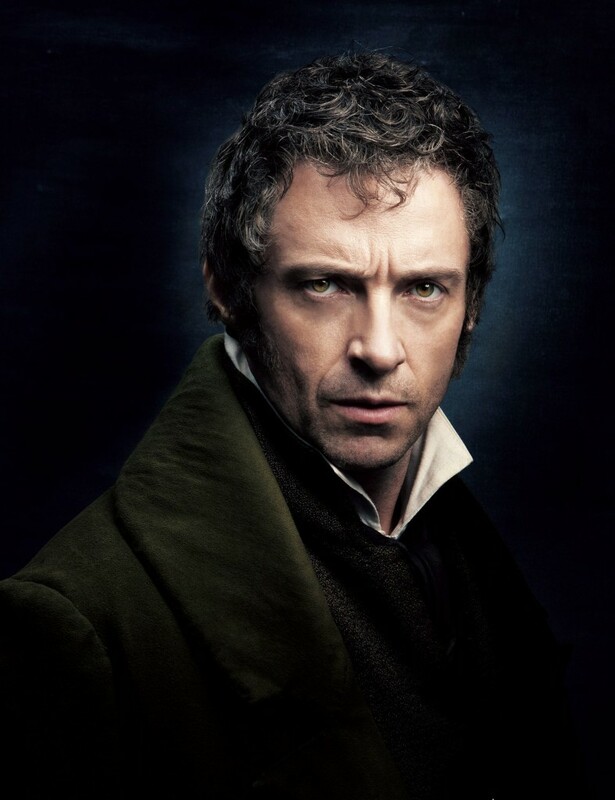 It’s hard to say which bit I liked more, but Jackman did steal the show, by a whisker’s breadth. I can see why they gave him a golden globe for this. I’ve never sat and watched a film before where I wanted the constant tugging at my emotions to continue. I cried, laughed, cried some more, felt like my heart might break on behalf of the characters, smiled, and then sobbed and I didn’t want it to stop! On top of all that was the amazing amount of challenging stuff in terms of being a follower of Jesus. There were some heartbreakingly difficult choices for the characters to make and many of them included some element of their belief in God. I’ve honestly never been so challenged on a personal level about the choices I make when life deals a crap hand. But I also never felt at any point like the faith side of this was being rammed down my throat. It was melded in with everything else and added to the dimensions of each character. I’ll definitely be getting this on blu-ray when it comes out and I’m highly tempted to go see it at the cinema again while I can. The books also on my to-read list. A beautiful story, wonderfully told.